Every day is Earth Day in Mahone Bay now. Building on the growing trend of "plogging" - in which joggers pick up trash along their running routes - the Town of Mahone Bay has created litter clean-up kits. Residents can pick up the kit which contains a specially marked garbage bag and disposable gloves at the town hall; they are then encouraged to pick up any litter that they see while walking or jogging and that garbage can be placed curbside with their regular household garbage collection. "Mahone Bay is an active town with a strong sense of community pride," said Mayor David Devenne. "By treating our town as our backyard, we improve the appearance and environmental health of the town and hopefully change the way people think about litter." The Earth Day Everyday movement in Mahone Bay already has strong supporters in the Cubs and Beavers that meet in Mahone Bay every week. 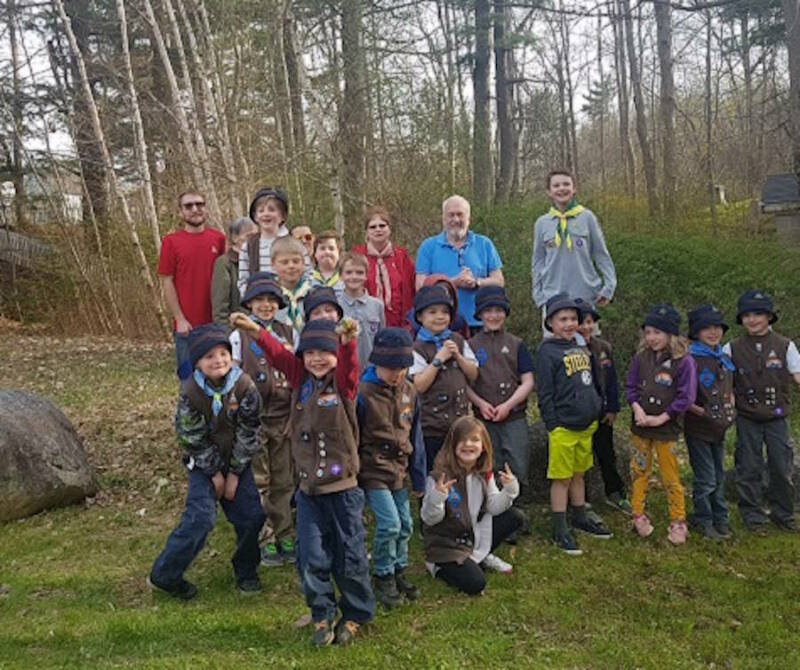 Mayor Devenne met with 2nd Maitland Cubs and Beavers on May 2nd to thank them for being great citizens and setting a good example for Mahone Bay, one which he hopes the residents of Mahone Bay will follow.